"Fail to see the tragic, turn it into magic"
Turn it into magic indeed Brian. I was going to London town to see one of my faves, and getting my shins scraped with an inky needle... sounds like the perfect occasion for cake. Last time I saw the decadent Rebecca, she had set me a bundt challenge. I adored this. 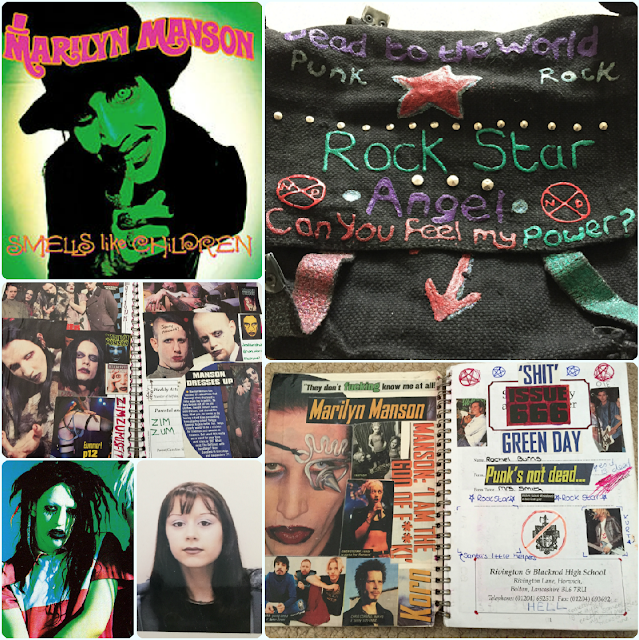 I cannot believe I have never made a Marilyn Manson bundt before, I mean, what kind of grown up antichrist superstar am I? My high school days consisted of looking surly, dying my hair black, wearing a 'Smells Like Children' hoodie, and having a school bag which said 'kill yourself now because you're dead in my mind' on it. I was a real treat. It was kind of the obvious route being so naturally deathly white. I was obsessed with Marilyn Manson, and was convinced that one day I would marry bassist Twiggy Ramirez. There's time... although there's no way I'm getting married again! His lyrics would stay with me for years to come, and definitely shaped the way I see the world today. 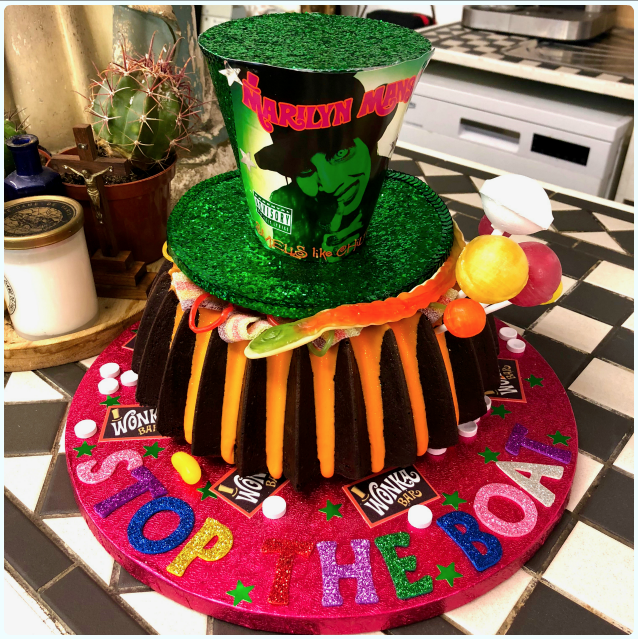 The cake itself is an indulgently moist chocolate fudge cake, drizzled with bourbon icing, the hole filled with lots of fruit laces, rainbow astro belts, gobstoppers and chewy snakes, and topped with a top hat, obviously. The most important thing was that Rebecca loved it, with a close second being actually getting it from Horwich to Finsbury Park in one piece, in torrential rain! I very much doubt you're going to recreate this one, but hopefully it's given you some ideas of your own. Challenges are good... People loving my cakes is the only drug I will ever need. It rules. Now I'm off to write on my handbag with glitter glue. many of your dreams will be destroyed"